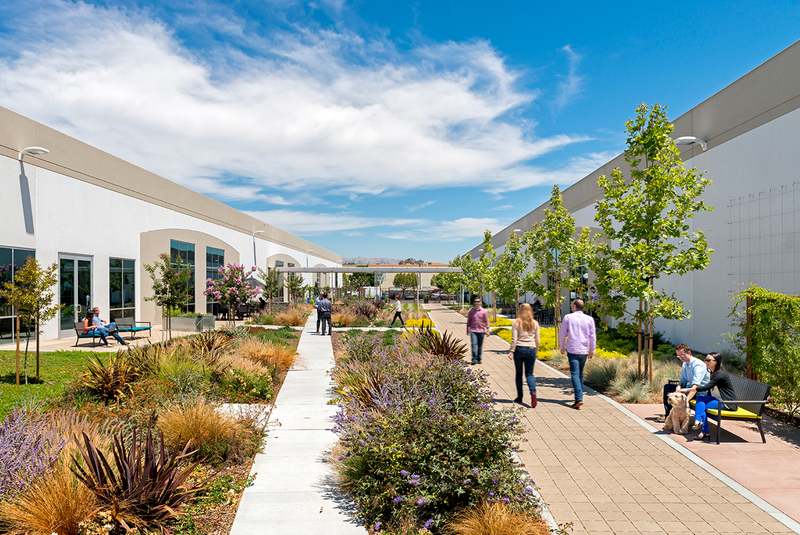 RHAA is working with Gensler Architects to convert a parking lot between three existing buildings into a landscaped courtyard for employees. 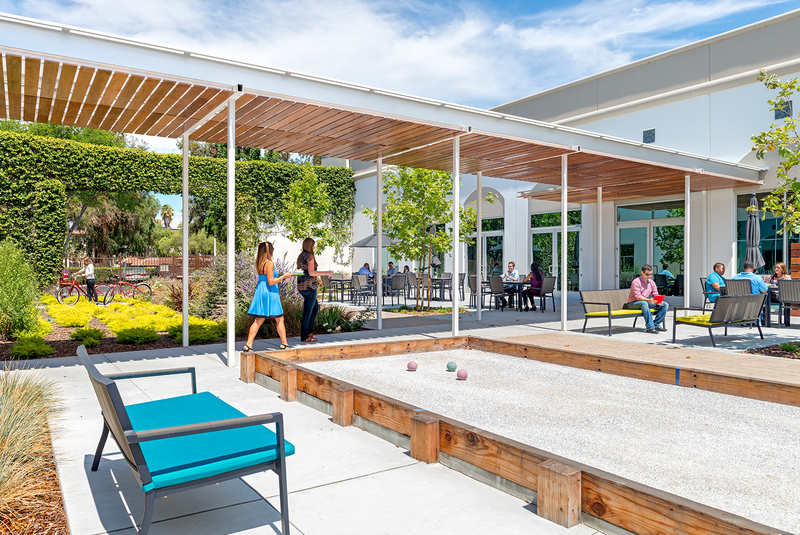 Amenities include an outdoor dining terrace, meeting spaces of various sizes, a bocce court, a volleyball court, play area for the child care center, and containers for vegetable gardening by employees. 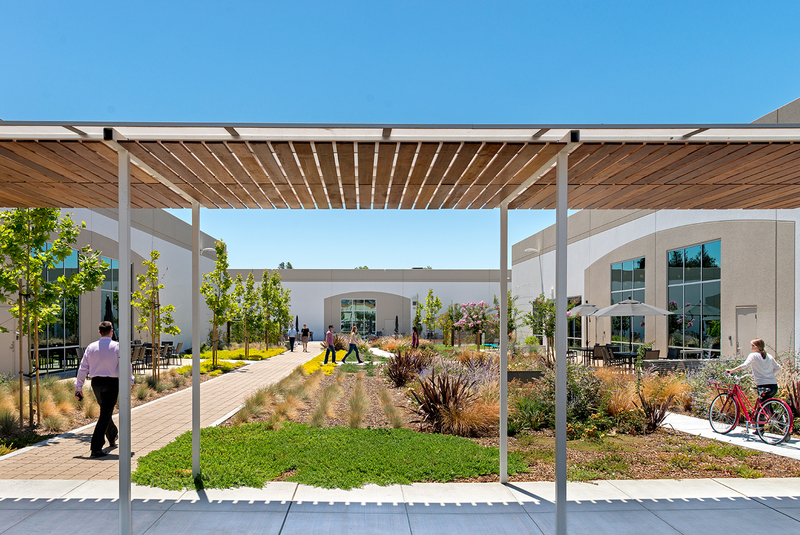 The planting design minimizes the lawn area and uses a variety of drought tolerant groundcovers, with colorful accent planting beds in highly visible locations.